VANCOUVER — Armed with a familiar message and renewed urgency and volume, residents of Livingston Mountain neighborhoods in Camas and East Vancouver packed the Clark County Council hearing room Tuesday night to express frustration with ongoing quarry operations they say continue to threaten public safety and private property. Though the issue dates back years, nearly two dozen residents who spoke during the public comment portion of the council’s meeting at the Public Service Center made new allegations, among them that J.L. Storedahl & Sons, the Kelso-based company that subleases the mine from Tower Rock, is running far more trucks through the neighborhood than is allowed, that the quarry is effectively out of rock, that the county has failed to take adequate enforcement actions and that proposals currently on the table would allow the company to continue and even expand operations despite a contract that expired in 2017. Speakers alleged that the county’s own records, obtained through public document requests, show losses for the county in the amount of more than $455,000 from April 2013 through July 2017. “Our trust with the county government has become broken, sadly,” said Mark Martin, the first resident to speak during the meeting and one of many who expressed frustration with previous county department leaders and elected officials. He demanded the county take enforcement action against the company for alleged violations of limits set on the maximum number of truck loads allowed per day, among other claims. It was a request echoed by many of his neighbors along the steep and winding route to the Livingston Quarry. Wendy McCollough, another resident, told the council her children and those of others are put at risk by continued mining. In 2017, she said there were 203 children living along the narrow, winding route taken by dozens of large rock trucks. Buses made 121 stops in the morning and 121 stops in the afternoon on eight routes, she said. “Please think of this when discussing truck numbers,” she asked councilors. Other residents spoke of how frequent explosions at the quarry have knocked wine bottles off of shelves and even cracked the foundation of homes, with one speaker claiming a blast last week registered as a 1.4 on the Richter magnitude scale. 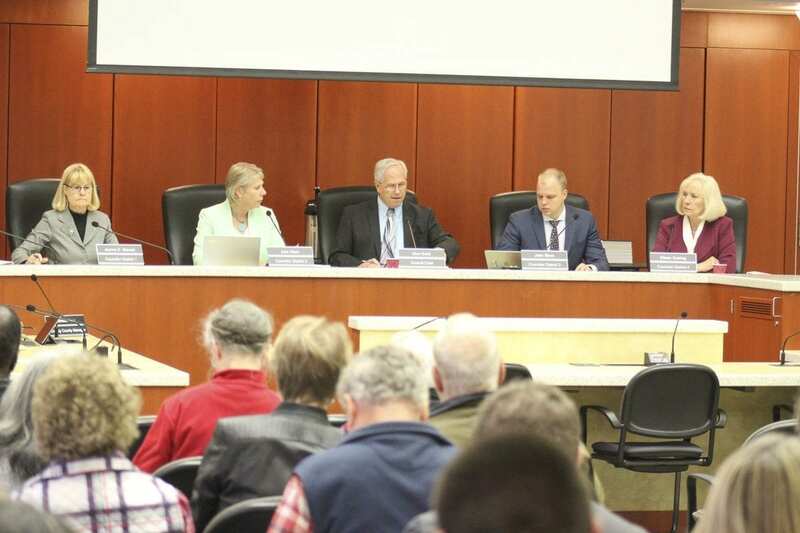 The dominant request of the speakers was for the Clark County Council to follow up on the promises of their predecessors to find relief for homeowners who have long cited safety concerns connected to the ongoing mining. 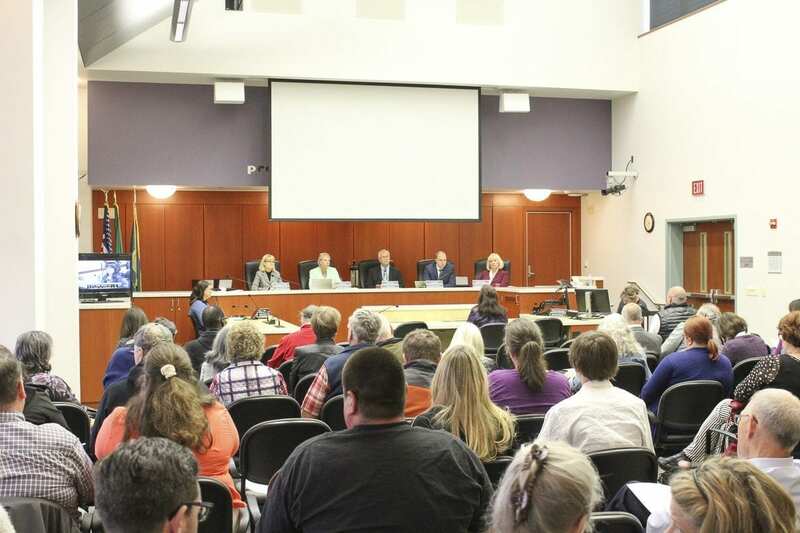 The Clark County Council hears from attendees of the weekly council meeting Tuesday night at the Public Service Center in downtown Vancouver. Photo by Eric Schwartz. Documents made available by the speakers alleged the county has seen a loss of $1.4 million through rock operations between 2002 and 2014 and that royalties paid to the county fall far short of the costs to permit and prepare the way for mining. They also claimed royalties paid to the state Department of Natural Resources have been misdirected and are not going toward the stated purpose of providing funding for area schools, and that the assessed value of the quarry property has been unduly reduced by the county, leading to a tax break. After the speakers finished, councilors asked staff to pursue answers. Council Chair Marc Boldt and Councilor John Blom both asked for financial documentation focused on the quarry while Councilor Eileen Quiring likewise sought additional information on the speakers’ claims. “It seems like we’re getting another story… We need clarification,” Quiring said. Councilor Jeanne Stewart requested feedback on the claim by some residents that the quarry was being filled in, along with additional legalities. “Thank you for coming out this evening because this is how things get done … Your commitment to your community is evident,” said Councilor Julie Olson. 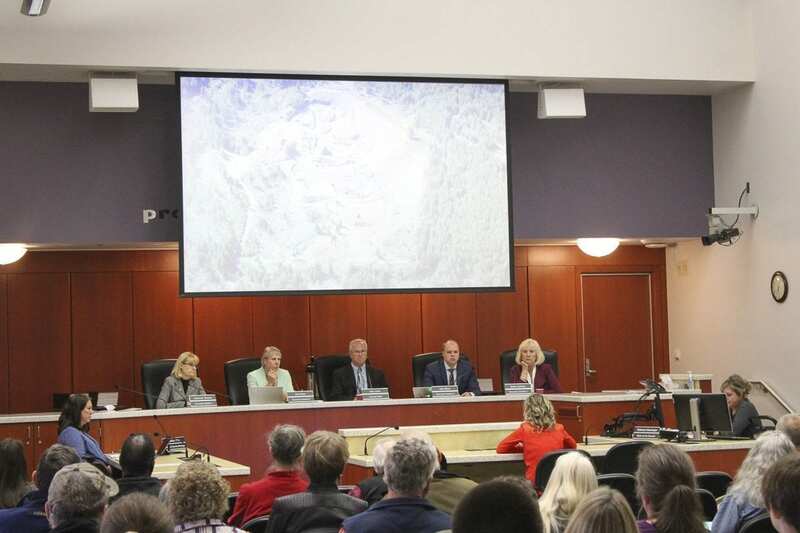 In addition to the public comment portion of the meeting, the Clark County Council also unanimously approved a resolution authorizing Fire District 10 to annex the area known as Green Mountain into the district. The area includes about 6,500 acres and 55 registered voters. 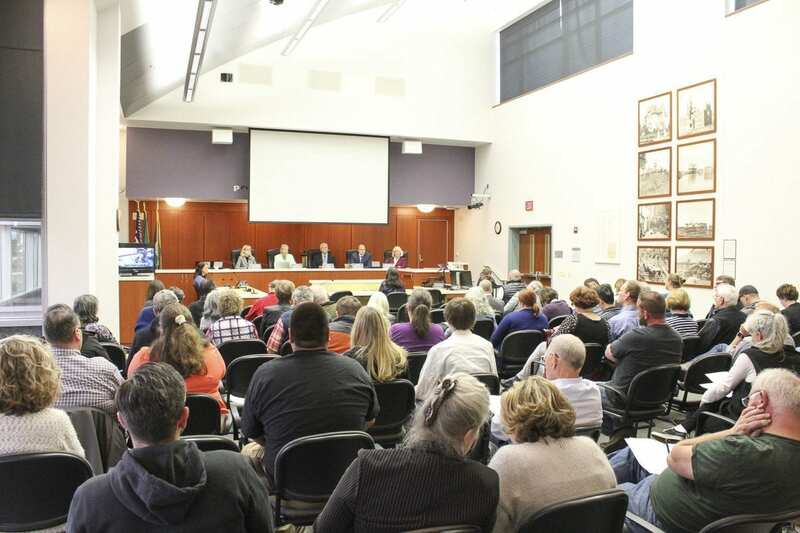 About 64 percent of the current residents signed a petition in support of the annexation, surpassing the 60 percent needed to allow for the area to be added to the district. The fire district supported the request, which the council approved in a 5-0 vote. The council also approved an emergency request to fund exterior repair work at the Franklin Center, where workers discovered a cornice was in danger of falling as they conducted approved painting and sealing work on the building. The total budget for the project is about $46,000. Eric Schwartz arrives as a reporter at Clark County Today with nearly 15 years of experience as a journalist. He most recently served five years as editor of The Chronicle newspaper in Centralia. Prior to that, he was an assistant editor, reporter and intern at the newspaper. Schwartz graduated from Forks High School on the Olympic Peninsula before attending Centralia College and Eastern Washington University, where he was the editor-in-chief of the award-winning college newspaper, The Easterner, and received the Edmund J. Yarwood award as the top performer in his class. He covered sports through a fellowship at The Tri-City Herald before taking a full-time reporting job with The Chronicle in 2007. After three years as a reporter at The Chronicle, he traveled to Kalispell, MT, and worked as a crime, courts and emergency services reporter at The Daily Inter Lake, where he won two first-place awards for spot news coverage from the Montana Newspaper Publishers Association. In 2011, he returned to The Chronicle as the assistant editor before being promoted to editor in 2013. Under his leadership, The Chronicle was the recipient of several C.B. Blethen Memorial Awards for Distinguished Reporting, and the newspaper was twice given the General Excellence Award as the top performer in its category by the Society of Professional Journalists. Schwartz has also been the recipient of two C.B. Blethen Memorial Awards for his own reporting and has garnered additional individual awards from the Society of Professional Journalists. Most recently, he and his staff were honored with a Key Award from the Washington Coalition for Open Government for The Chronicle’s editorials and news coverage focused on transparency in county government.